Two Muslim extremist sisters who left the UK to become jihadi brides have been stripped of their British citizenship. Reema Iqbal, 30, and her 28-year-old sister, Zara, who have five sons between them under the age of eight, have had their British nationality removed whilst they reside at a Syrian detention camp, according to legal sources speaking to The Sunday Times. The sisters left their Canning Town, London, home in 2013 to marry jihadists linked to the filmed executions of Western hostages by Mohammed Emwazi, also known as Jihadi John, who was later “evaporated” in a U.S. drone strike in 2015. The Iqbals’ husbands were later killed in fighting. The sisters’ parents are from Pakistan, so it is possible that, like in the case of Bangladeshi-heritage Shamima Begum, they are now considered to be citizens of their parents’ homeland. However, the five children, two of whom were born in the United Kingdom, are all expected to be considered British citizens. 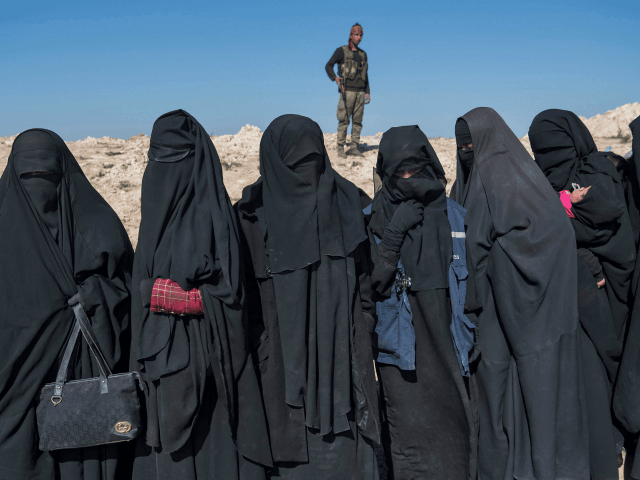 These are expected to be second and third jihadi brides recently stripped of their citizenship after unrepentant Islamic State supporter Shamima Begum had her British papers removed last month. Far-left Labour MPs have attacked Conservative Home Secretary Sajid Javid for his decision to revoke 19-year-old Begum’s citizenship, when weeks later her newborn son Jarrah, who was named after an Islamist warlord at the request of her Dutch jihadi husband, died in a Syrian refugee camp. Questions have also been raised recently over the vetting of the some 400-returning British jihadists after Samiun Rahman, 28, a minicab controller from London who was allowed to return to the UK after he was believed to have received militant training in Syria, is reportedly awaiting trial in India on terror charges. Allegedly the highest-ranking British member of al-Qaeda, The Times reports that Indian authorities believe he was sent by the head of al-Qaeda in Syria, Abu Muhammad al-Jawlani, to set up a terrorist cell in Delhi.